We are as conscious of our carbon footprint as our customers, which is why the environmentally friendly folks at Yoga Accessories developed the Natural Rubber Yoga Mat! This mat is non-toxic, biodegradable, and recyclable -- made from sustainable rubber trees and naturally PVC and latex-free. We use no toxic chemicals, and waste is recycled throughout the production of our eco-friendly mats. Great for hot yoga and vinyasa, because it features a textured non-slip, non skid surface. This rubber mat boasts high-performance and professional quality while retaining eco-friendly status. Our Natural Rubber Mat is generic (non-branded) and available in bulk at wholesale costs, which makes it great for studio use. 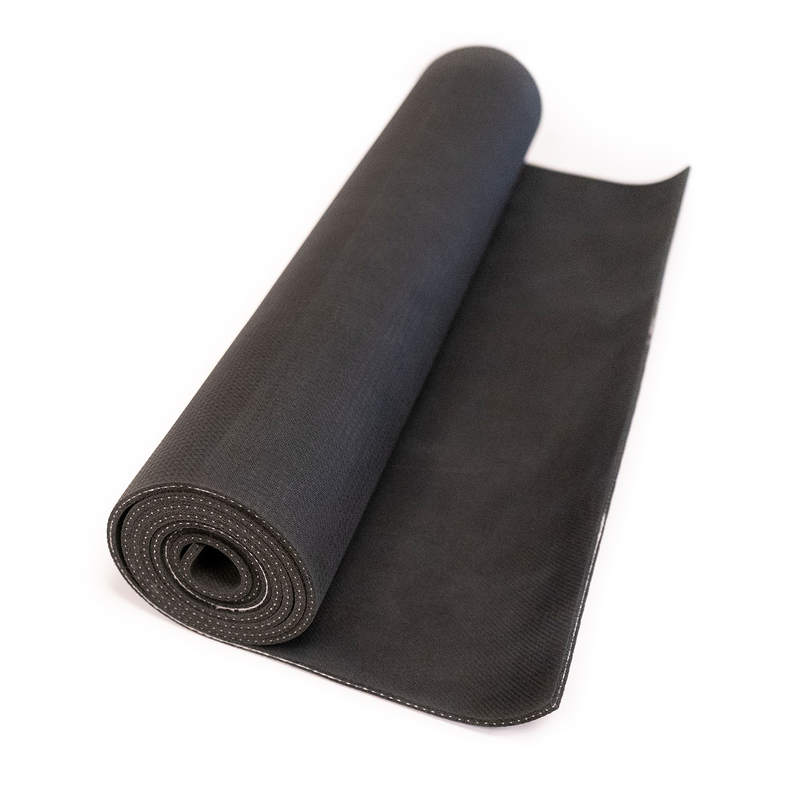 Just compare Yoga Accessories' Rubber Mat to other natural rubber mats on the market today selling for $60 to $100. This yoga mat is thicker and longer than many of our competitor’s mats, and offered at a better price! Do yoga mats grow on trees? This one does! This is a great mat. The only disadvantages are its weight and the rubber smell, which takes a bit of time to accommodate. Other than that, this mat provides great stability for asana. This mat is the first rubber mat I have owned. The quality is great and it's 2 inches longer than comparable name brand rubber mats. It smelled a little rubberish at first, but that went away after about 2 weeks. There are 2 sides to the mat. One side has diagonal patterned lines and the other has a grid pattern. I like practicing with the grid side up because I think it's a little softer to the touch. I'm thinking about investing in a a 2nd mat. I bought the 5mm mat and it is nice and thick for my bony knees. It is a little heavier than my old mat but more comfortable. This mat is the perfect combination of density, grip and style. One of my friends got a JADE mat and paid twice what my Dragonfly cost! Love my new Dragon Fly mat, heavy enough to stay flat, no slipping/sliding, lovely purple color too! I love that it''s eco-friendly too. A bit heavy for much hauling though. I use this mat for a number of fitness workouts I do in my home, and it has the right amount of stickiness, without lifting up with my hands when I start to sweat. Don''t notice a rubber smell at all, and find the thickness works well over my carpeting. It has been so hard to find a good yoga mat that is eco friendly, long lasting and truly non slip (for those 3 minute down dogs!). This mat has great non-slip traction right out of the package. It is just the right thickness and size. The only downside to the mat is the initial odor. I solved this by washing it in my tub with mat cleaner (fyi, it will take at least 2 days to dry). You can also try hanging it outside for a coule days. It is a bit heavy, so not the best travel mat. I bought this mat because it is bio-degradable and was pleasantly surprised with the quality of it. I have used the Jade mat in the past until I stumbled upon the Yoga Accessories site and found this mat at a much lower price. It is just as high quality and I couldn''t be happier. I am now a Yoga Accessories loyal costumer. This is as good as any mat I have ever used. I used to buy the Jade mat, but this is just as good and lots cheaper. Smells great and love the colors.